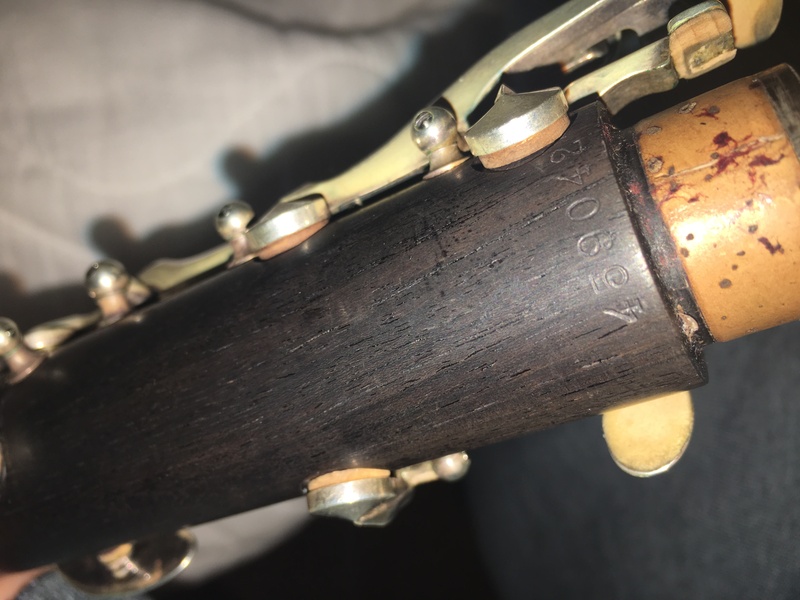 how do I know if there is a crack in my clarinet? I don’t know if it is apart of the wood grain of the instrument or if it is indeed a crack, I have a concert Sunday so I would not have time to get it fixed, and have no backup instrument. You need to tell us more specifics. Where is it located? Does your instrument still play normally? Can you post a picture of it? Located at the bottom of the upper joint, still plays perfectly wel. I am concerned between the 0 and 4 on the serial number. That's just the grain pattern, so not a cause for concern. I agree with Chris P, but if you want to be really sure, put a drop of bore oil on it. If it is immediately absorbed into the instrument, then it is a crack. This is a "check" or open grain ... it's a crack wanna be. Probable will never happen! Just don't subject your instrument to extremes. I had a new wooden Buffet (1996) that looked like it was gonna crack everywhere and fall apart in pieces. Massive grain. Never happened ... looked the same 20 years later and played just fine. Relax and enjoy the music. If it was by the upper tenon, then you'd be advised to keep an eye on it.